B.A.T. stands for Bureau of Astral Troubleshooters. You are an agent of this organization located on the planet Shedishan. Assignments are given to you by contacts on this planet. 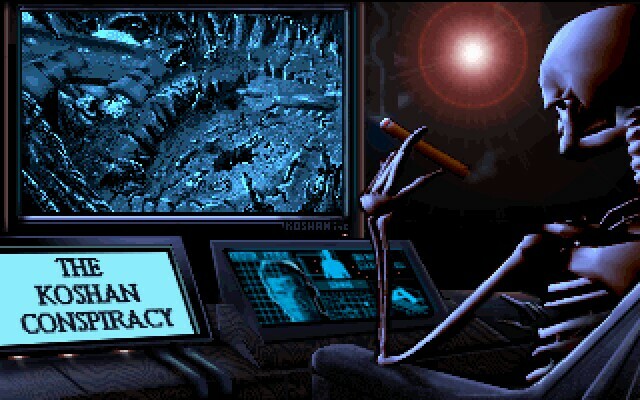 You must then question people, acquire items, travel places, and solve puzzles to finish each mission. Koshan is quite a diverse game. It will take more to complete this game than the usual RPG requires. For the most part, Koshan is a first-person perspective science fiction RPG. Though I have not been able to delve into all of the game, there is a definite Cyberpunk slant to the game. Combat can be handled in two ways. It can be either strategic or arcade based. There are also three video games which can be played. In these games, you can make wagers to increase your funds. Traveling to other cities can accomplished using a driving simulation of a taxi cab. A flight simulator is also included. The flight simulator must be used to reach some locations. Also, you are equipped with a computer implant. The computer can be used to monitor your physical condition. There are implants for the computer which can increase your physical abilities. Also, there is a language for progamming the computer to automate common tasks. As you can see, this game requires talent in many areas of gaming. 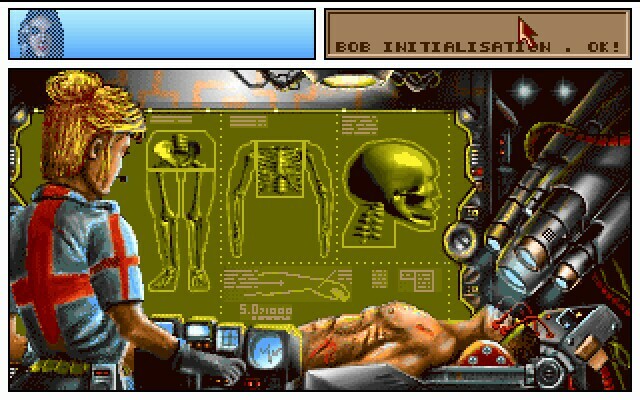 The graphics for the RPG portion are very well drawn. They give the game a very nice Cyberpunk feel. 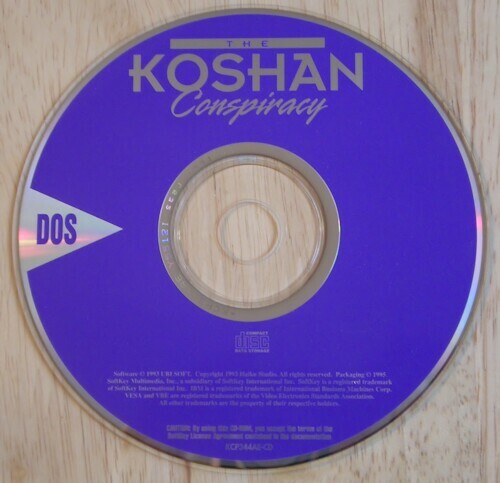 All of the sounds and music in Koshan are digitized and sound quite good for early 90s vintage. If you are a fan of the cyberpunk genre (as I was, very heavily, during the 90s) this is a game you will like.